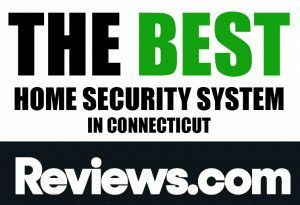 Reviews.com rated Advanced Electronic Systems as the #1 Ranked Residential Alarm Company in CT in 2017. Because Local Security is Better! Advanced Electronic Systems believes that each client deserves personalized customer service, which is only attainable by a local provider. We are large enough to serve your needs but small enough to know each customer by name. AES is the second oldest alarm company servicing lower Fairfield County. We strive to provide our clients with the highest quality of service and most advanced & reliable security products in the industry. Advanced Electronic Systems has been offering innovative solutions for a wide range of security needs since 1973. We are one of the most experienced home and commercial security companies in the region, providing 24-hour service and monitoring. We attribute our success to our dedication to service and customer satisfaction. AES has been servicing clients in Fairfield County and Westchester County since 1973. Over the years, we have protected nearly 4,000 homes and businesses. Advanced Electronic Systems is a Norwalk-based security provider specializing in the design, installation, service and monitoring of security and fire alarm systems for both residential and commercial markets. Our roots date back to 1973. In 1999, Howard Friedman purchased the company and created a simple mission: 100% customer satisfaction. We are able to attain this goal because AES believes that Local is Better! With nearly 4,000 clients, we are large enough to have the necessary resources available 24/7 and have a human being answer every customer phone call. Yet, we are small enough to know all of our customers by name, and never too far away to help.